Colorful cosplay wigs are apt to bring huge change. They are available in several colors and varieties. Shining yellow and red mixed with blue, purple colors are good for magical transformation especially if you are naturally too pale skin condition. 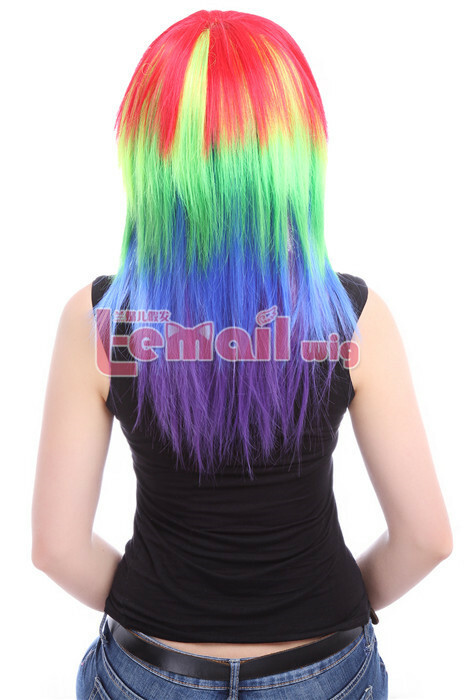 With such a colorful wig it becomes easier to get into an fashion style, and its colorful look let you be the enchanting fairy. Colorful is the new trend. This medium colorful wig is enriched with charisma and style and with medium length can be totally easy taking care! Straight design can be hard to make it tousled. The heat resistant fiber adds in depth, volume & bounce to the wig whereas reverse-ombre effect makes it enchanting. The soft pastel colorful wig looks totally alluring with purple tips. 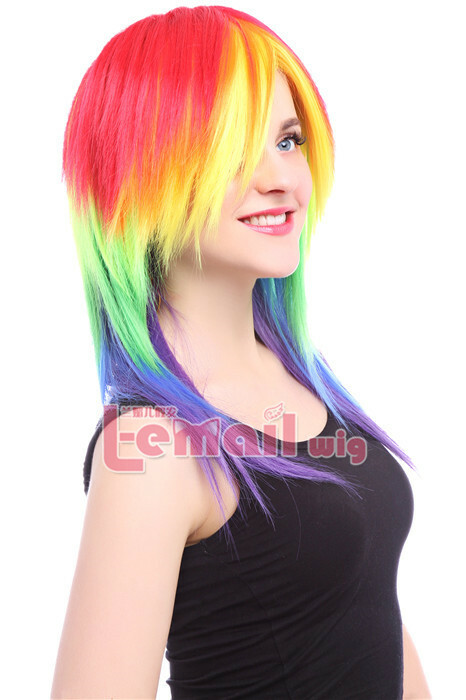 Colorful wig with side blunt bangs that further adds to your chic and femininity. With perfect 53cm long makes this colorful cosplay wig a glamorously long. 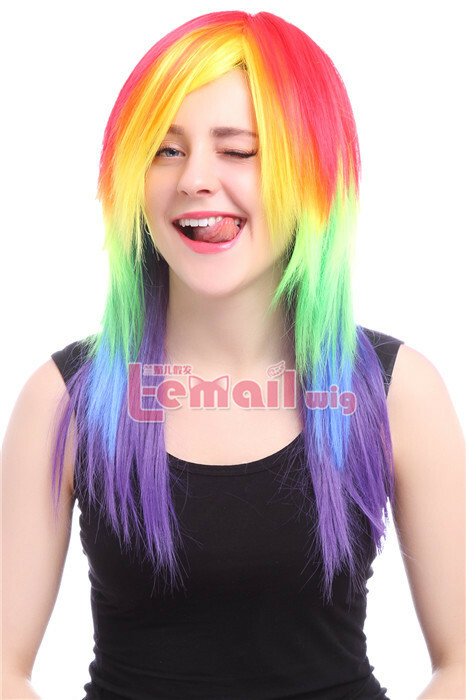 Colorful cosplay wig is super sleek, straight & shiny. The wig feels soft to touch and light to carry over your scalp, looks totally fashionable! Get lusciously thick and silky straight hair with it, wig is silky and the texture is very soft & smooth. Wearing two tones of hair is chic and classy. Not only does it make your hair look thick but it also accentuates your facial frame. This entry was posted in Wigs and tagged colorful cosplay wigs, colorful straight wigs, medium fashion wig.